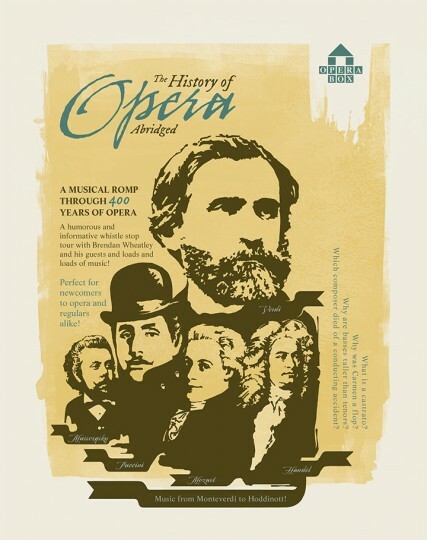 Go on a whistle stop tour of 400 years of opera with singer / Artistic Director, Brendan Wheatley, together with his wife, soprano Bridgett Gill and a further guest artist. A lively evening suitable for experienced opera goers and opera ‘virgins’ alike. Lots of live singing, accompanied by piano, demonstrates the sheer range and inventiveness of opera’s greatest composers and answers your opera questions too. Features well-known opera ‘hits’ from Mozart, Bellini, Offenback, Purcell, Monteverdi and Wagner. Which composer died of a conducting accident? 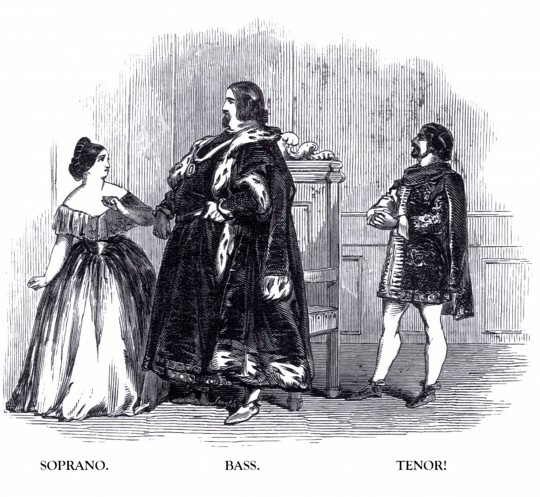 Why are basses taller than tenors? Why was Bizet’s opera Carmen a flop? Brendan hosts a informative and witty evening – perfect for newcomers and regular opera-goers alike.Brendan and Bridgett have devoted a lifetime to opera, both as singers and in running their own successful touring companies, Opera Box and Swansea City Opera. They look forward to sharing their joy in opera with you.